What Insight Do You Have Into Your Business Data? If your organization is anything like most other companies that exist today, you're probably collecting all kinds of business data related to your mission-critical operations but you're not utilizing this data to its full extent. As mobile applications and solutions for the enterprise become more widely adopted around the world, organizations are discovering that they're leaving a lot on the table by not having the ability to organize and analyze all of their business data in a meaningful way. 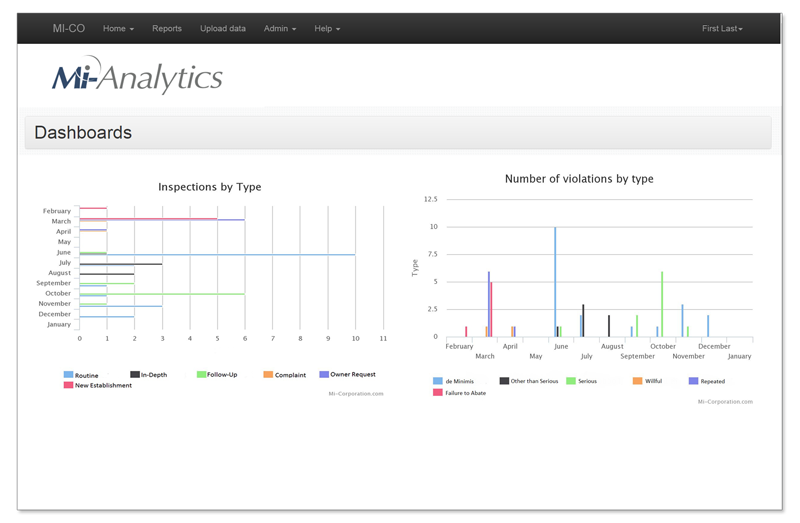 Mi-Analytics is a highly customizable reporting dashboard for business executives. 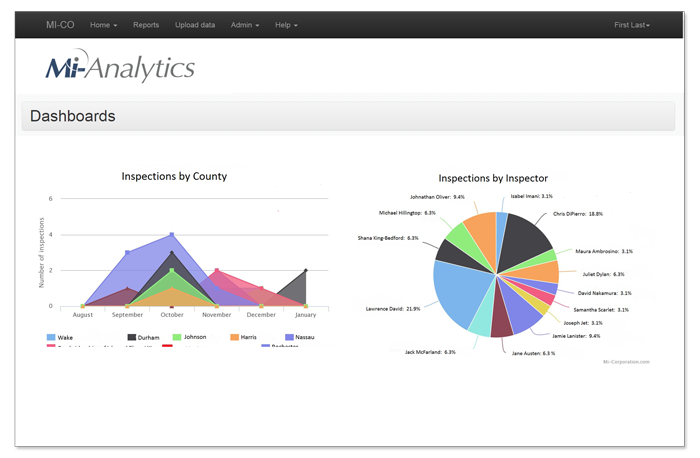 It accepts data from both our Mobile Impact Platform and Mobile Inspection Software as well as accepting data from other systems such as Oracle databases and other ERP systems. Empower your organization to make decisions based on aggregate data from across your enterprise. Mi-Analytics gives users real-time insight into their company operations by taking the data collected through the Mobile Impact Platform and other enterprise resources and breaking it down into meaningful reports and dashboards. This enables businesses to discern patterns and make better decisions. The Mi-Analytics solution was built to help you setup custom charts and reports rapidly, and works with imported data from any data source. 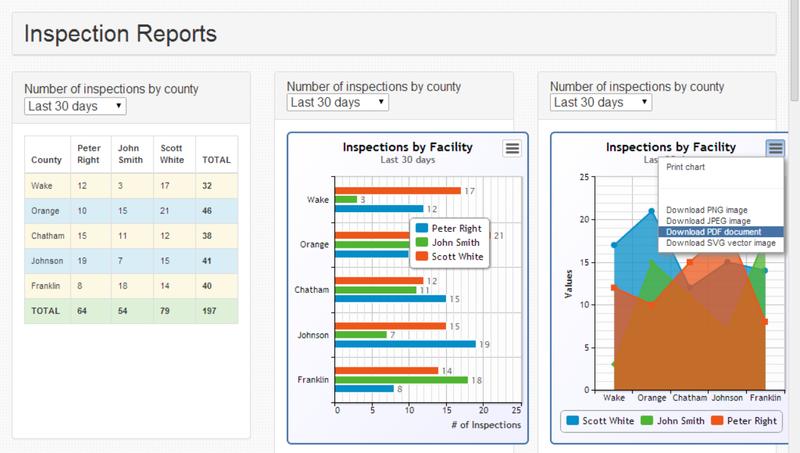 Step 1: Analyze your data collection business processes and workflows to decide what kind of reports are most important to your bottom line. Step 2: Once your charts are created, pair Mi-Analytics with a mobile data capture solution, such as Mi-Apps, to automatically begin pulling data from your existing database into your charts.